It’s wild, untouched, exclusive and phenomenal. The inaccessibility of this reserve makes it pricey to reach, but for safari-afficionados it is a true gem. You’ll be one of very few visitors so you’ll have the place almost to yourself. It links particularly well with Ruaha and/or Mahale Mountains for the chimps. Exclusive wilderness. 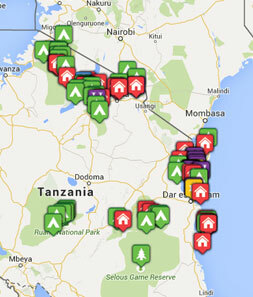 Its remote location makes it one of the least-visited parks in Tanzania. Some of the best game viewing in Africa in the dry season. One of the best parks for species diversity and numbers of wildlife at this time. Thousands of elephants, several lion prides vying with huge buffalo herds, lots of hyenas, plenty of leopards Known for the sight of hundreds of hippos and crocodiles jostling for space in dwindling waterholes. There are only 3 camps in this vast wilderness. The isolated and untouched reserve of Katavi is at its peak from July to October (the dry season). You can visit from June to February, but, other than June and November which can still be very good, the wildlife is far less impressive than in the dry season. March to May are not recommended at all due to the main rains. A Katavi safari: How to do it? Katavi is remote. It’s in the far west of Tanzania near Lake Tanganyika. The best way to get here is to use one of the twice weekly (Mondays and Thursdays) flight from/to Arusha or Ruaha. Due to its isolation and the fact that few people travel here, even these scheduled flights are expensive. We recommend going in the dry season so you get the best of this incredible place for your money. 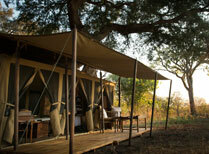 We are of the opinion that a safari taking in Katavi and Ruaha, or Katavi and Mahale (or all three!) 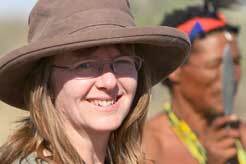 could be one of the most magical African safaris you’ll ever choose. 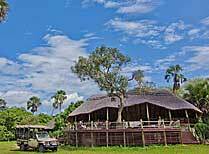 There are three camps in Katavi ”“ Chada Katavi, Katavi Wildlife Camp and Katuma Bush Camp. Our favourite is Chada Katavi, but it’s the most expensive. The logistics of running a camp in Katavi are not easy, so expect stylish rustic comfort rather than out and out luxury. Chada Katavi Camp is in the core of Katavi National Park, reputed to be one of the wildest places on earth. A lovely rustic camp in Katavi National Park in western Tanzania.